Create matches of 4 or more butterflies of the same color to help them to freedom. The more you match the higher you score (It’s possible to create matches of up to 13 butterflies!). Increase your score by making matches in quick succession. In Survival Mode, free as many butterflies as you can before the dandelion’s seeds blow away. Try to beat your scores against the clock! Create a match of 7 or more butterflies and gain a Ladybug! Match ladybugs for awesome bonus scores. 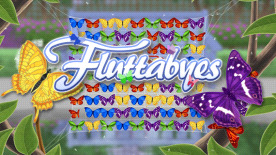 Create a match of 11 or more to receive a Rainbow Butterfly! Use these to free all of one colour from the grid, or target a ladybug for a splendid secret bonus!